According to a report from MarketResearch.com, millions of new Internet of Medical Things (IoMT) will be added to health systems and the market segment is poised to hit $117 billion by 2020. Medical device manufacturers have traditionally focused on patient safety and time to market rather than security. Long FDA approval cycles mean that approved devices are often running outdated operating systems versions with known vulnerabilities and limited or no patching ability. This lack of adequate security in IoT and IoMT is why Gartner is predicting that by 2020 25% of all enterprise breaches will involve IoT. Securing IoMT requires close collaboration between biomedical and IT teams and a plan to address three core areas of IoMT security – physical, connection and data. This session will focus on practical steps to improving IoMT security without expensive infrastructure upgrades or wholesale legacy medical device replacements. Manish Rai is VP of Products and Marketing at Great Bay Software. 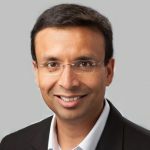 Rai is Silicon Valley veteran with more than 15 years of experience in creating and bringing to market industry leading technology solutions spanning Security, Mobility, and SaaS. Rai was previously VP of Corporate Marketing at Meru Networks, a publicly listed company that was acquired by Fortinet. Prior to Meru, Rai helped drive rapid growth for mobility solutions at Aruba Networks, which was subsequently acquired by HP. Earlier in his career, he held various positions at Motorola, Symbol Technologies, eGain and Booz Allen and Hamilton. Rai has an MBA from The Wharton Business School and an MSEE from The University of Arizona.